There are a million and one cleaning products on the market that claim to crack every cleaning problem under the sun. 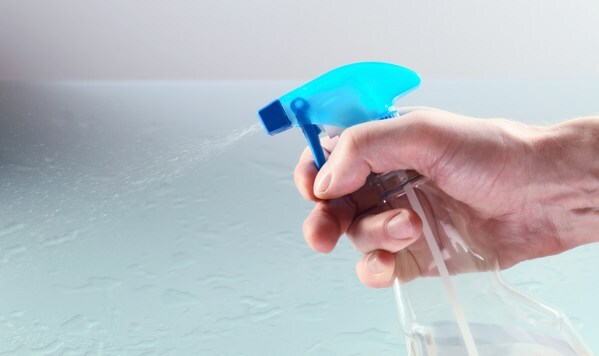 From multi-surface cleaners to disposable mop pads, yet many household cleaning problems can be solved much more effectively with a simple traditional solution. Plus you can declutter your cupboards from all those useless bottles and sprays. We say out with the new and in with the old. Lemons and limes usually sit idle ripening in your fruit bowl, but they are one of the most useful everyday groceries in your house. With countless cleaning uses, you’ll be buying more citrus fruits than anything else. Lemons in particular are great for polishing copper, brass, aluminium and stainless steel. Sprinkle two teaspoons of salt on half a lemon and rub the surface till shiny. Mix some lemon juice with water in a squeezy bottle and spray on white shoes then leave in the sun. For a natural furniture polish whip up one part lemon juice and two parts olive oil, apply and wipe clean. You can even throw a lemon half in with your next dishwasher load for cleaner fragrant dishes. A great tip for stopping crafty neighbourhood cats using your lawn as a litterbox is to mix up orange peel and coffee granules then sprinkle them in the trouble areas. Grass, grease or ink stain? 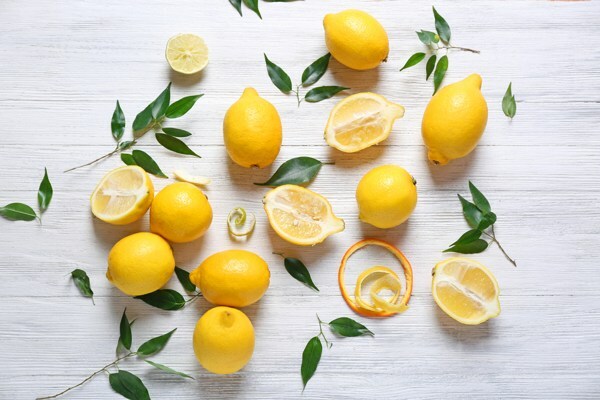 Apply plenty of lemon juice right away, then wash in a normal cold cycle. As you can see there are loads of uses for lemons other than on your pancake. 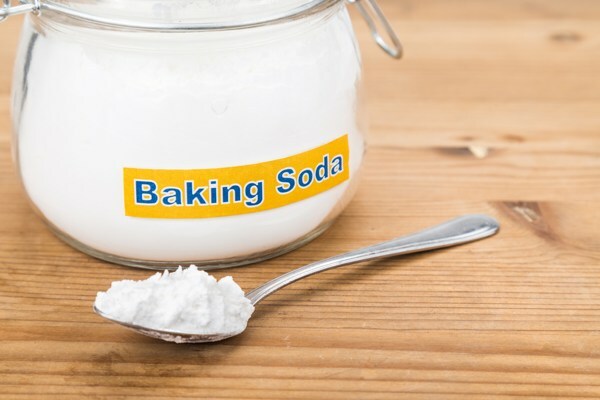 A staple of any kitchen and better known as a raising agent, baking soda is also a great all-round cleaning product. Baking soda is commonly used in teeth-whitening products, so it makes sense then to take advantage of its cleaning properties. It’s perfect when mixed with water to be used as a scrub on all kinds of surfaces, and it’s not corrosive, unlike many commercial cleaning commodities. It can work wonders on strong stains like tea and coffee, or even removing tough crayon marks from walls. Another great use for baking soda is for ridding your house of nasty odours, not masking them like some supermarket sprays. Baking soda works well on anything particularly smelly, i.e. soaking up smells on the carpet or for cleaning bins of lingering odours. A less known compound, but highly practical to boost your household cleaning power. Particularly good when mixed into detergent in a normal load of washing. But for the ultimate overall cleaning spray mix two tablespoons lemon juice, ½ teaspoon of washing-up liquid, ½ teaspoon of soda crystals (otherwise known as washing soda) and one teaspoon of borax into two cups of warm water. This will get to work on everything from soap scum to limescale and dirty grouting. Great on your chips and an even better cleaner. We’re not talking malt vinegar here though, this is clear white vinegar and can be used as an excellent glass cleaner for streak-free windows. Another great tip is to pour a cup of white vinegar in your washing machine drawer and run an empty cycle once a month. This will unclog your machine, keep it fresh and running well. White vinegar can be used to polish most of your favourite jewellery too, just soak a cotton ball in vinegar and rub the silver in circular motions, then wipe clean with a towel. Table salt is great at soaking up any spillages, be it fizzy drinks, gravy or anything else. Cover the area in enough salt to mask the spill, then hoover it up after the salt has taken up the moisture. White vinegar has many other household uses; sprayed on weeds as a weed killer, poured into ant’s nests to eradicate ant problems, to unclog drains and even as a shampoo to rid of oily hair!